To make great videos, it’s important for them to not just look good but to sound great, too. The audio in a video is a huge part of the viewers’ experience, and one many people simply overlook. In this episode of Movies for Makers, we cover tips for using the microphone you already own (yep, you likely already own one! ), we share a variety of gear recommendations to upgrade your audio quality with minimal cost or fuss, and we answer questions live too! (0:44) Microphone placement is one of the biggest factors that can improve the quality of your audio. (9:32) Microphones are like lenses: There are different types and some are better suited for isolating your voice than others. (26:02) What if you’re picking up too much ambient noise? (30:14) What’s the best microphone to record a video in a crowd? (33:25) What about using a wireless lavalier microphone with a smartphone? (40:12) What adaptors are necessary for using a lavalier mic with a smartphone versus a tablet or a computer? 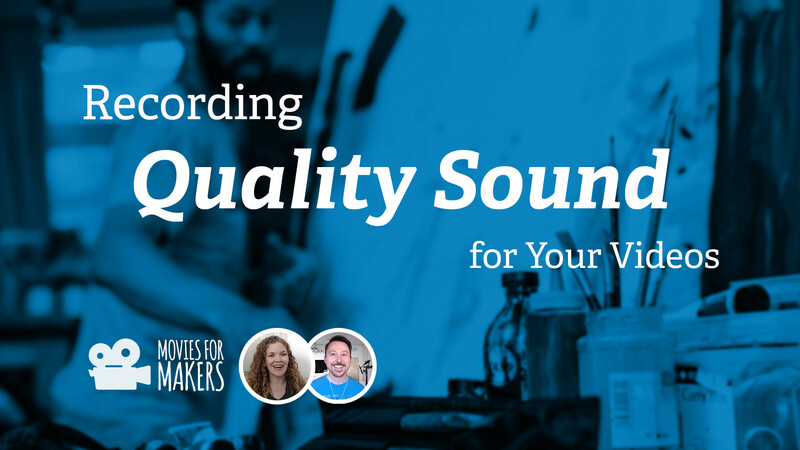 Episode #3: Recording Quality Sound for Your Videos // hey, this is the post you’re on!